It must be noted that unlike many treatments being developed today, this new drug has already been shown to be safe in humans with brain cancer. To conduct the study, the research team, which included Professor John, Professor Hui Gan, and Dr. Puey Ling Chia, catalogued mesothelioma tissue samples, created a database, and grew human cancers in mice. After these crucial steps were complete, Professor John “decided to see if the tumors expressed the same molecule his colleagues in the adjacent lab were working on,” reports the Herald Sun. The study revealed that mesothelioma did indeed express the same molecule addressed by the brain cancer drug. With a relative 5-year survival rate for mesothelioma between just 5% and 10%, the ONJRI research team expressed the urgent need to find better treatments. Now, with the help of two research grants funded by a deceased mesothelioma victim and his family, plans are underway for human trials to begin. The grants, which were awarded by the Cancer Council Victoria, will be distributed between the ONJRI research team and Peter MacCallum Cancer Centre. If you have been diagnosed with mesothelioma, ask your doctor about groundbreaking studies such as the ONJRI clinical trial. Studies such as these often recruit patients from all over the world and many go on to be touted as “lifesaving.” Talk to your doctor today about the potential to participate in a clinical trial that could help treat your specific type of mesothelioma. Berg, Lucie Van Den. "Cancer Drug Developed in Melbourne Offers Hope to Asbestos Cancer Mesothelioma Victims." Heraldsun.com.au. Herald Sun, 12 Mar. 2017. Web. 02 Dec. 2017. "Shrinking Cancer." Onjcancercentre.org. Austin Health and the Olivia Newton-John Cancer Research Institute, 14 Mar. 2017. Web. 02 Dec. 2017. 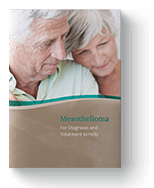 "Survival Statistics for Mesothelioma." American Cancer Society. American Cancer Society, Inc., 2017. Web. 02 Dec. 2017.